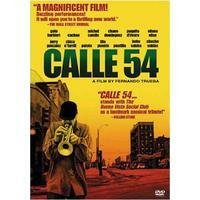 Join Seattle Latino Film Festival for this exclusive screening of the Film Calle 54 Directed by Spanish Film maker Fernando Trueba. Cuban Music Producer Rosa Marqueti will be in attendance speaking about her work in this movie. Invites everyone to experience the passion of Latin jazz. A musical journey that captures the heart and soul of an entire culture. The sound that pulsates in hot backstreet clubs and recording studios. From Mia… Moremi to Havana, the Bronx to Andalusia. A series of performances that reveal how these great Latin heroes use their extraordinary musical talent as a vehicle for storytelling, protest, sexuality and, above all, the celebration of life.